My review of February’s MOM (yes from February) is another blog post that I have let slip through the cracks. 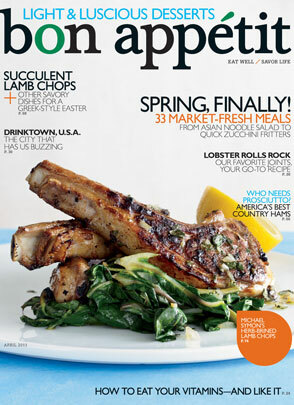 So here is a quick review of February’s Magazine, Bon Appetit, and a recap of the recipes I featured. Over all I thoroughly enjoyed this magazine. It has a lot of great recipes, is well written and has great cooking tips. One of my favorite features of this magazine is that very issue has step by step how to instructions and pictures on things like how to make stuffed chicken breasts or cut a pineapple. Very useful! Since this is a food magazine there are a lot of pictures of most of the recipes but I was shocked at the quality of the pictures. Since this is a food magazine I expected great, quality pictures (like the ones from Food and Wine) however most of the pictures were dark, and had poor color. The number of servings are listed on all recipes, however the recipes do not have cooking times clearly listed at the top of the recipes (just in the directions). With a name like Bon Apetit you would think that the recipes would be difficult. And yes all of the recipes are written by restaurant chefs and chef consultants, but I found that most of the recipes were very doable even by beginner cooks. The step by step how to section really helps clarify procedures. Since there are a variety of recipes you are guaranteed to be able to find ones that meet your needs. Besides the how-to section my other favorite feature of this magazine is where they interview celebrities (and not food celebrities or chefs) about their eating habits/food preferences. Like did you know that race car driver Danica Patrick took cooking classes at the infamous C.I.A. (Culinary Institute of America). Or that singer Josh Groban drinks apple juice all day long before a performance. Really interesting stuff! Cost: $5 for a single issue and $12 dollars for a year subscription (which is 12 months/issues). I loved EVERY. SINGLE. RECIPE. I made from my collection of Bon Appetit recipes. Seriously this is an AWESOME food magazine! 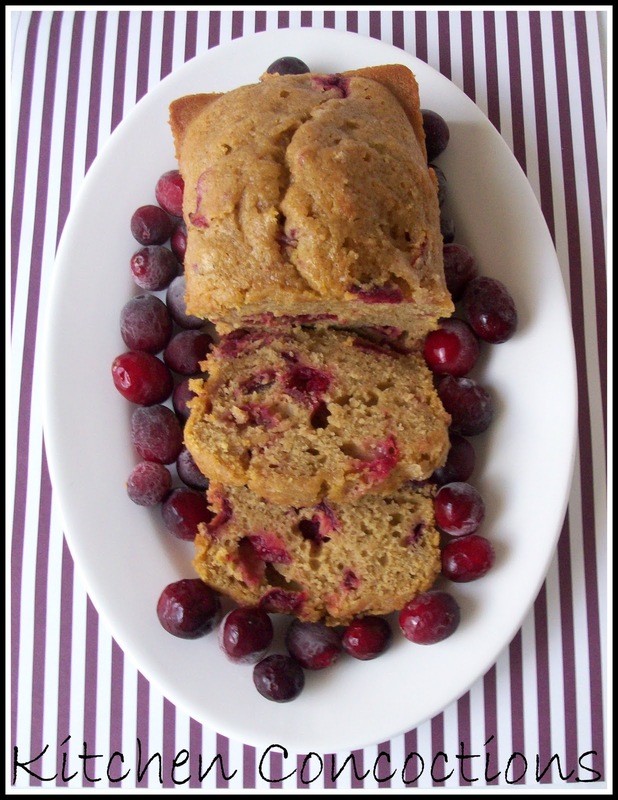 Cranberry Pumpkin Bread: Even though Thanksgiving 2011 is still months and months away this recipe is a must to bookmark to try when cranberry and pumpkin season roll around. That is unless you have cranberries in your freezer and a can of pumpkin in your pantry left from last year then by all means make this now! 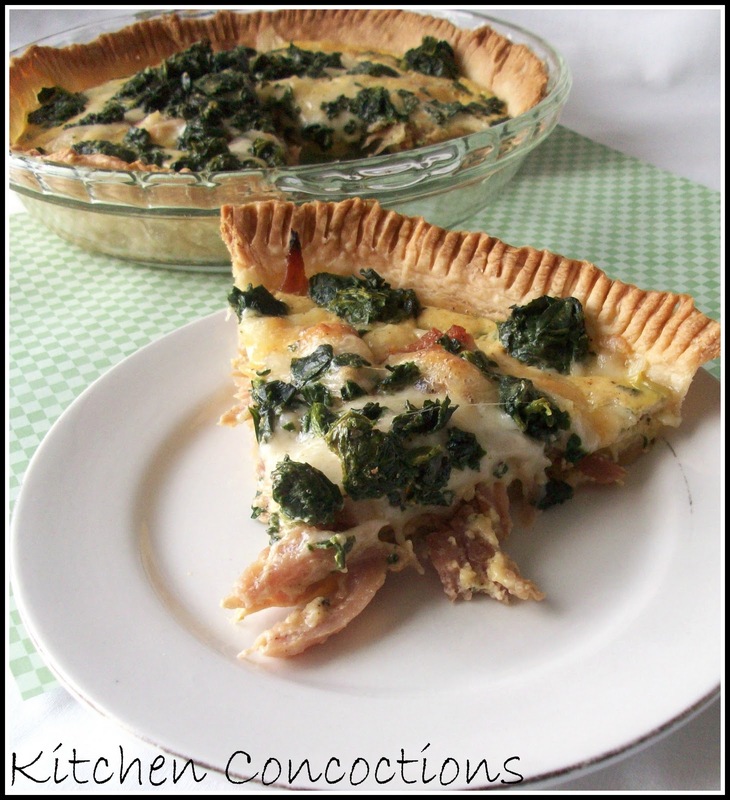 Ham and Swiss Quiche: I have always been a quiche hater… that is until now. The sweet ham paired perfectly with the tangy Swiss cheese.. and the spinach… well it never hurt anybody! 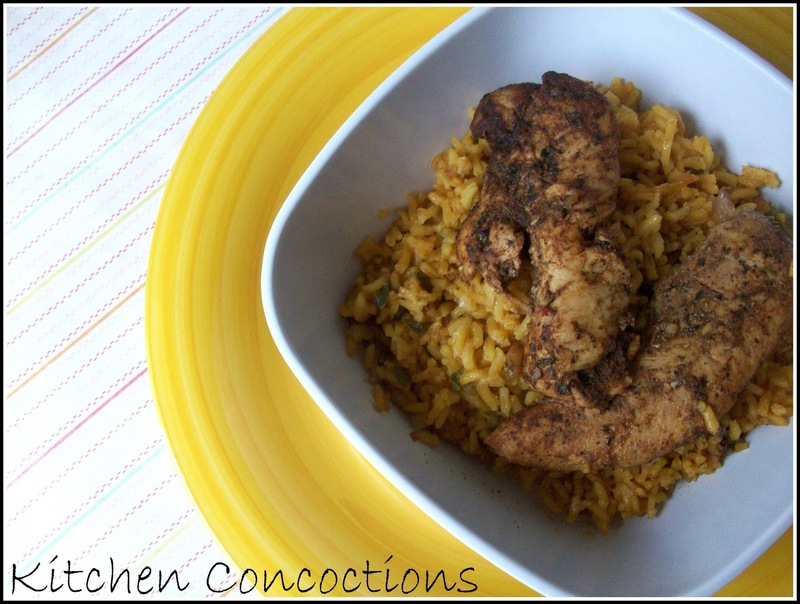 Cuban Spiced Chicken Strips with Rice: Mmm..Mmmm…Mmmm! I love Cuban food and this rice dish is pretty darn close to the authentic Cuban food I’ve had before! 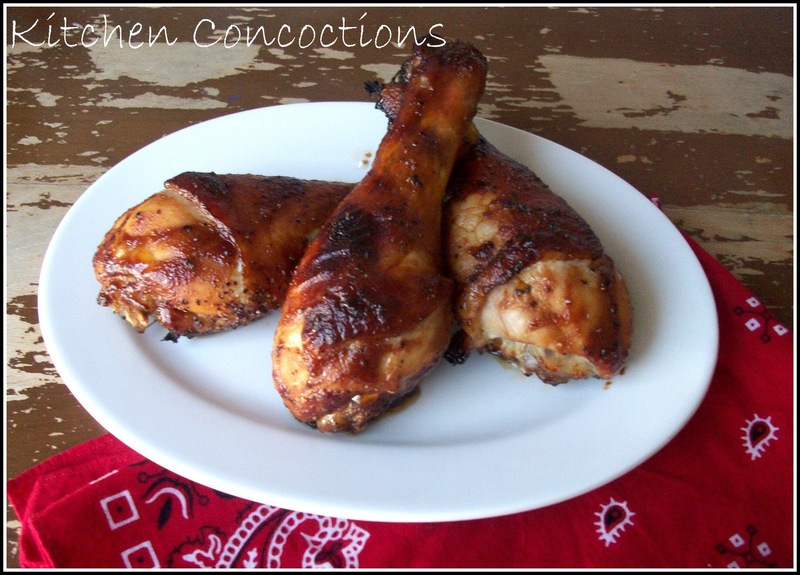 Bourbon-Molasses Chicken Drumsticks: These were so easy and were a FAB-ulous new twist on the classic BBQ chicken.